More than 1,000 people visit Leonardo da Vinci’s The Last Supper every day. Not surprisingly, visitors spend a lot of time waiting in for tickets and admission. On this walking tour of Milan, you’ll get skip-the-line admission to see the painting so you’ll have plenty of time to see rest of the city’s sights, including the Duomo and Sforza Castle. A small group means plenty of time for questions. Head to the iconic Duomo to meet your guide and group. Stroll over to the Galleria Vittorio Emanuele, one of the world’s oldest active shopping malls. Walk through the gallery and stop at the famous La Scala opera house. Afterward, head to the trendy Brera neighborhood, passing funky stores and restaurants. Make your way to the imposing Sforza Castle to admire its medieval architecture. Your last stop is a visit to Leonardo da Vinci’s The Last Supper. Skip the lines with your priority admission and enter the Santa Maria delle Grazie refectory, where the painting is housed. You’ll have 15 minutes to admire its artistry. Note: Depending on your time time, you may start with The Last Supper and finish with Piazza del Duomo. Visits inside the Duomo are not possible on Sundays or religious holidays. On these days, a detailed tour is given from outside of the Duomo. Had a great time on our walking tour with Elisa as our guide. Would highly recommend especially the skip the line. Long day of walking but worth it to see the highlights efficiently. Best Tour in Milan with an excellent guide! Small group, beautiful weather - amazing 3 hours with our guide Katerina! We had beautiful sunny weather. Our guide was Katerina, who knew perefectly all the history. 3 hours went like a flying bird - everything was perfect. We didn´t wait long time anywhere. Thank you, Katerina!!!! Get quick answers from Best of Milan Walking Tour with Skip-the-Line to Duomo & ‘Last Supper’ staff and past visitors. Does this tour include exploring the inside of Duomo and La Scala theater and museum? Tour does explore the inside of the Duomo and the rooftop of the Cathedral but does NOT include La Scala. I just want to see the last supper, no tour or anything else, time constrates. Can I just join the Q and take a chance? how much will be for the Q tickets thank you. We were told you can turn up on the morning and probably buy a ticket but you need to be there first thing in the morning. I think the ticket is about 16 euro. But we went with a walking tour as we wanted to fit other sightseeing in. 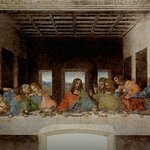 I do think a guide tour of the Last Supper is really good as the guide gives real insight of the hidden art messages of the painting its self, for example, the meaning behind upturned hands as opposed to downturned, an explanations regarding the idea of a female at the table, we found it fascinating. Hope that helps. How much time is spent inside Duomo. Is there any reason to do an additional tour that more completely explores Duomo and rooftops? About 45 minutes we spent inside Duomi, rooftop wasn´i included. We got a lot of information, I personally suggest it!